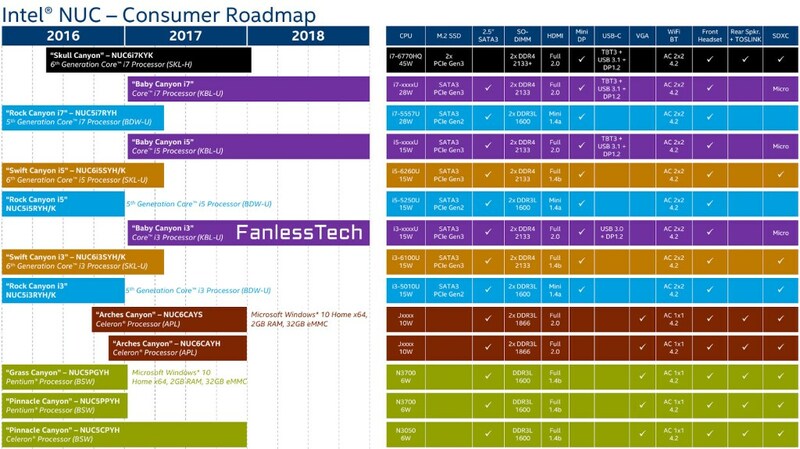 Fanlesstech got its hands on three slides that detail Intel's NUC plans, you can view them over here. The information reveals Intel plans five "Baby Canyon" NUCs for 2017, this lineup will feature "Kaby Lake" based Core i3, i5 and i7 processors. The same year, Intel will also release two "Arches Canyon" NUCs, these feature an Intel Celeron processor.